Manila, Philippines - Through announcement on social media, some local government units (LGUs) in Metro Manila and nearby provinces advise class suspensions for Monday, August 19, 2013 as Southwest Monsoon (Habagat) enhanced by Tropical Storm or Typhoon “MARING”. In an advisory via Twitter post, Marikina Mayor Del de Guzman suspends classes in All Levels, public and private for Monday, Aug. 19, 2013. #walangpasok Marikina Mayor Del de Guzman suspends classes All Levels, public & private for Monday, Aug. 19. Mayor Abalos also suspends classes in Mandaluyong area. Mayor Abalos: "No classes from elementary to HS in public and private schools for Aug 19 in Mandaluyong." As of 6:00 PM, NO CLASSES in Wawang Pulo Elementary School and High School was advised for tomorrow, August 19, 2013, Monday. Note: Quezon City and the provinces of Aurora and Quezon will have no classes also on Monday in celebration of Quezon Day. PAGASA raised the rainfall warning from Orange to Red at 9:00 PM, 18 August 2013 (Sunday). It means severe flooding is expected. Heavy to intense rains are affecting Metro Manila, Bataan, Zambales, Bulacan, Pampanga, Tarlac, NuevaEcija, Rizal, Cavite, Laguna and Batangas and most likely to continue for the next 3hrs. FLOODING is threatening in low lying areas. 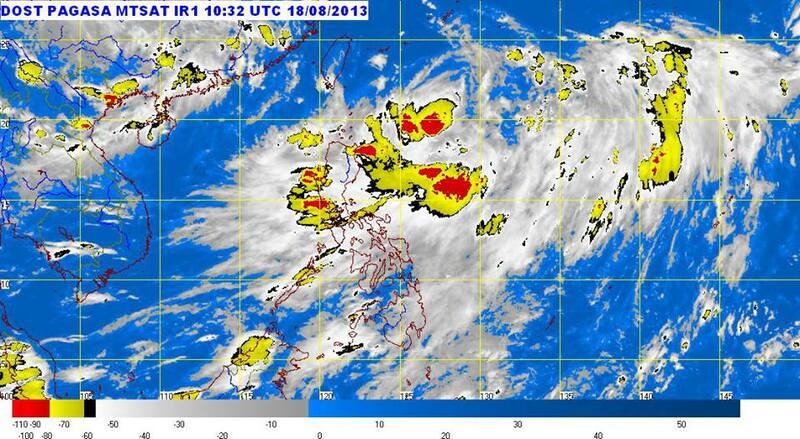 People are advised to MONITOR the weather condition and take precautionary measures.